The first win for any movie is achieved by an attractive and intriguing poster. While just posing in front of a posh car or alongside seductive females or walking along looking at the ground diagonally with some uber cool goggles don’t actually make for a movie poster. It’s when the poster immediately makes you curious about the movie or conveys the theme of the movie in just one image, you can validate that movie poster as a commendable one. The year 2017 did have some interesting posters that came along the way and here we tried to list down our choice of best posters that truly stood out this year. 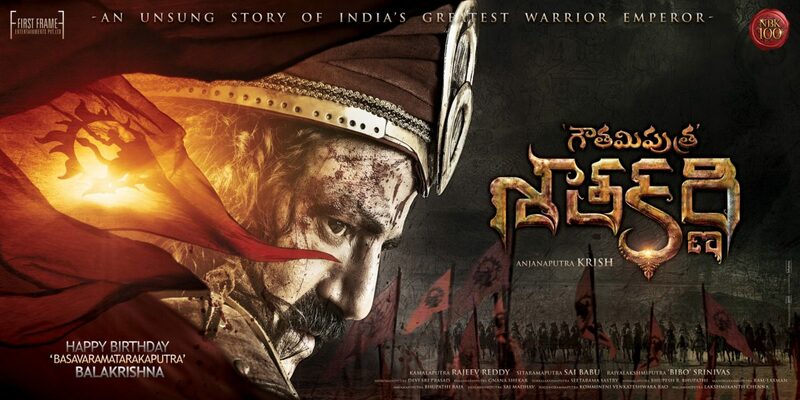 Balakrishna’s 100th movie couldn’t get bigger and better than this first look poster that was designed by Anil & Bhanu. Smeared with blood over his face, Balakrishna in his character, Satakarni shows us the ferocious warrior he is when on the field. Irrespective of the movie’s performance, the makers were successful big time in generating great curiosity for the movie. 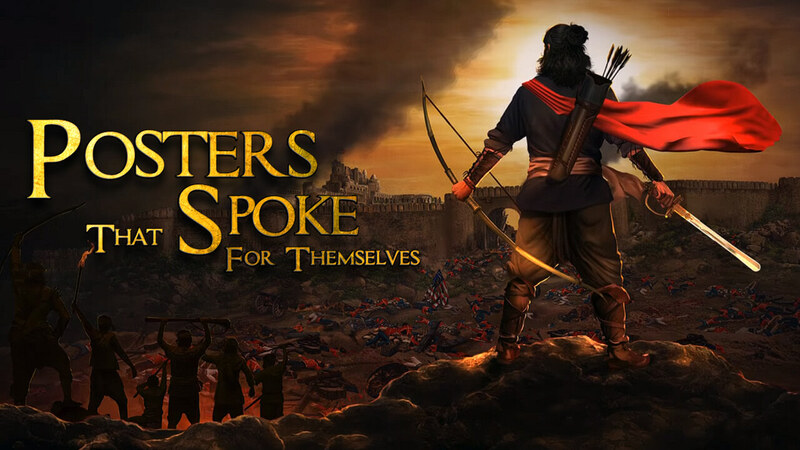 While the first look poster of Baahubali: The Conclusion released last year, one interesting poster that conveyed the whole of the movie’s essence through one poster was this one. 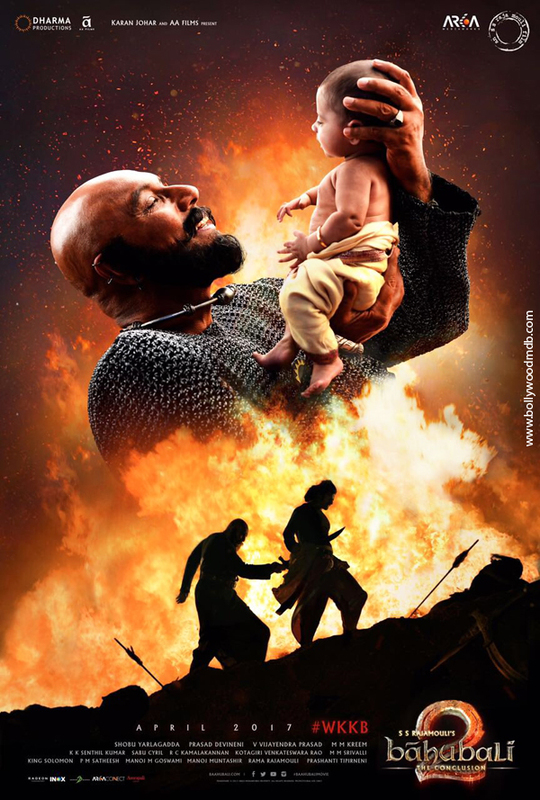 While the upper half shows the loyal army chief Katappa carrying the baby Amarendra Baahubali, the lower half shows him executing the latter’s father. It was not new for Telugu audience to see lip locks, but ‘Arjun Reddy’ was clear right from the first poster the intensity it wanted to convey. With this close-up picture of a lip-lock, it showed that a simple image of the lead pair in their characters is far better than any high graphically edited poster. One of the clever things that the director marketed his movie was the subject itself – ‘When ghosts get scared of humans.’ And the same was conveyed through the posters. Like the interesting posters, the movie, though was no different from other horror comedies, stood out for the unique narration by the director. 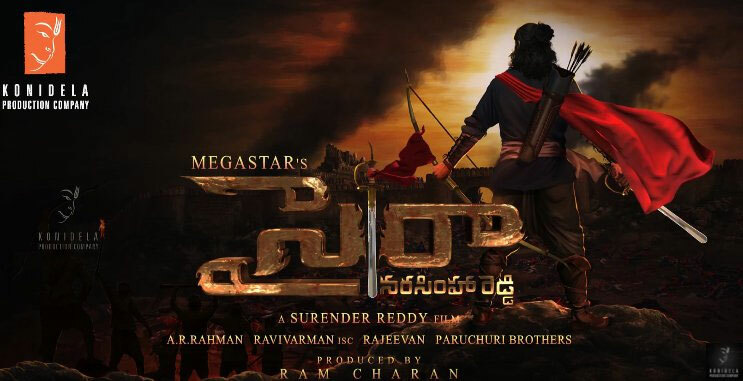 Chiranjeevi’s 151st movie has just begun to roll recently, but the first look that was released on Chiru’s birthday was pretty impressive. From a burning British flag on top of a fort and the destroyed British army fallen on the way to a fort, we see Uyyalawada Narasimha Reddy standing tall with his sword at a distance. This very much sums up the story of Uyyalawada Narasimha Reddy who was one of the first rebels to have stood against the British way back in the 1840s. 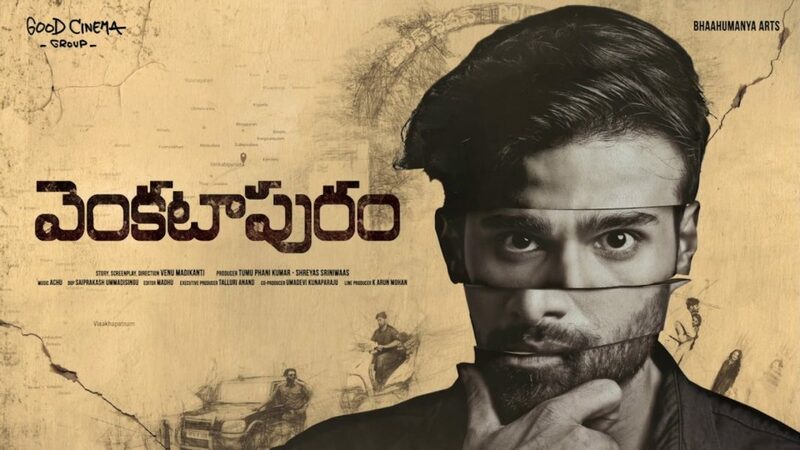 Venkatapuram was a passable crime thriller. But, the interesting first look poster did lure the audience to the halls. The faces in blocks where the protagonist looks to be arranged in order represent the problems he solves step by step in order to help his love interest. Now, keep aside the star status NTR Jr. carries. With his hands chained as a prisoner, that raw crudeness in his eyes and the Ravana’s silhouette in the background itself conveys what we can expect from the character of ‘Jai’. A good one that kickstarted great promotions for one of NTR Jr.’s intense performances. Shamanthakamani means a precious jewel and the precious jewel in this movie is the car around which the movie revolves. It’s all about the car! And the first poster exactly conveyed that – A gem of a car. The smoke effect from beneath only added to the royalty of the beast. While Fidaa might be a surprise on this list, the reason we picked this one was for the subtle joyful colours the designers used in this one to convey the movie’s theme. If you take a look at the background, we can see the left half has the lead, Varun against his American lifestyle walking towards the right. And on the right side, we have Bhanumathi against a village backdrop just jumping in joy. And this pattern has been maintained for all posters. Here itself, it was conveyed to us that the boy is coming for the girl from America to India. A point that is well justified in the climax of the film, why should it always be that a girl leaves her house after marriage? ‘Lakshmi’s NTR’ – Now, we are not sure when the movie would materialize (being one of the many movies RGV announces every fortnight). 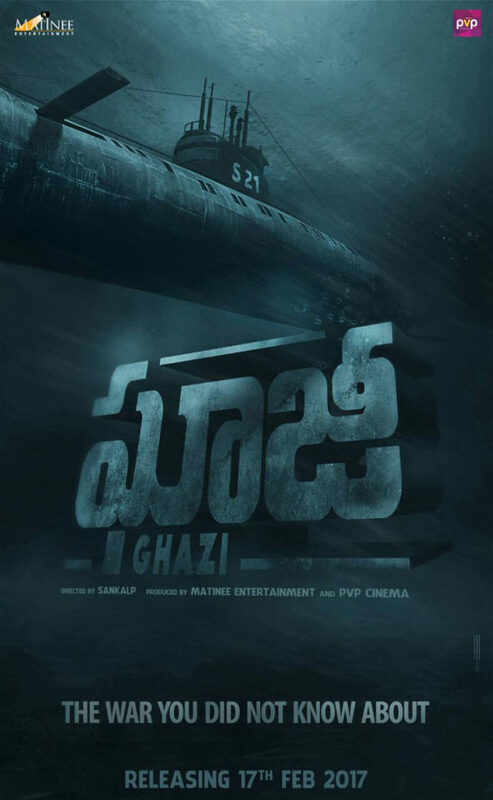 But, what makes the poster interesting is the biopic that seems to be told from Lakshmi Parvathy’s perspective. It shows her walking into the house, leaving her footwear outside while at a far distance we see the late Chief Minister NT Rama Rao seated on a chair. ‘AWE’ is one example of getting the audience in your grip right from the beginning. With a coffee in the middle surrounded by rose petals which in turn is surrounded by different elements make the poster even interesting. A gun wrapped in a newspaper, the holy book ‘Bhagwat Gita’, sugar cubes and a withered rose on an organ donation form actually makes for an interesting story. With an interesting cast and crew, we can only throw mild guesses till the movie actually hits the screens. And yes, please let us know if we missed any poster on this list. [VoxSpace Life] The War On Condom Ads : Is This Really How We Make Sure Our Children Are Safe?